Anyone who exerts themselves can get myalgia, but this is usually the transitory and self-limiting type. Those who have more chronic myalgia are generally those who have fibromyalgia or myofascial pain. If neither of these conditions are the correct diagnosis, other conditions can cause chronic muscle pain. 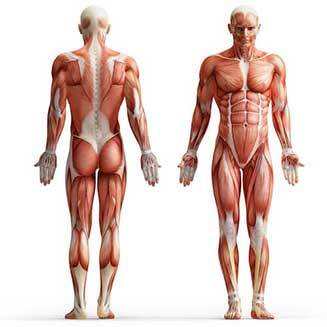 For instance, chronic overuse or misuse of a muscle can cause pain, such as with poor ergonomics. Trauma and even stress can lead to tense and painful muscles. Some medications, such as ACE inhibitors and statins, are known for causing muscle pain. Imbalanced potassium and calcium can have muscle effects, and certain infections, such as influenza, Lyme disease, and malaria, impact the functioning of the muscles. Other less well known conditions, such as lupus and rhabdomyolysis, can cause chronic myalgia as well. Treatment would then center on finding what is causing the problem and treating that primary cause. Myalgia is the fancy term for the muscle pains we are so familiar with when overexerting ourselves. Some myalgia can be severe, and this can lead to the need for more in-depth treatment than merely resting a muscle. Some myalgia is chronic, doesn’t have a well defined cause, and seems to get worse with time. 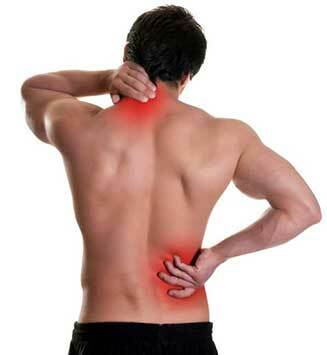 In this case, treatment for chronic pain conditions is necessary. In fact, myalgia is often a symptom of some other condition. For instance fibromyalgia exhibits chronic muscle pain, but it is the pattern that this condition presents in that differentiates it from simple chronic myalgia. In addition, myofascial pain can also cause myalgia, but the presence of trigger points distinguishes that particular problem. Many conditions can cause chronic muscle pain, included some medications, so myalgia is often not a diagnosis in itself. It is often an indicator of some other process at work in the body. Deep muscle pain is usually the result of chronic myalgia. In fact, it feels like a pulled muscle, like you’ve overdone it on the tennis court. However, in chronic conditions, the pain occurs without the inciting incident of a tennis game. In many cases, the pain can far exceed the pain of a simple pulled muscle, and most patients describe it as a deep, muscular ache that can hurt at rest or with movement. Trigger points and tender points are not generally seen with this type of generic myalgia, but other pain may be present from the causative factors, such as the signs and symptoms of the flu. For most chronic myalgia, physical therapy can be a helpful treatment modality. This can help to increase the flexibility in sore muscles and strengthen the surrounding tissue to support the area. A therapist can also work with you on relieving stress and focusing on good ergonomics in your daily life. Alongside physical therapy, medications are often used to help control pain. Most myalgia responds well to over the counter pain medications, but anti-seizure drugs, such as Lyrica, and antidepressants, such as Cymbalta, can work on pain from a different chemical direction. These medications are usually used for nerve problems, but they have been found useful in chronic myalgia, as well. When the problem doesn’t seem to respond to medications or physical therapy, your pain management doctor may decide on a trigger point injection. Although trigger points are only related to myofascial pain syndrome, this treatment can still be used in cases where the nodules are not obvious to the eye. 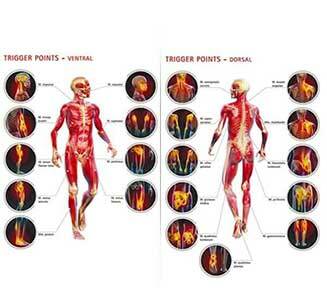 In addition, injecting pain medications and anti-inflammatories directly into the problem muscle can help to decrease pain, regardless of the presence of trigger points. The most common way to start treatment for myalgia is by engaging in physical therapy. This treatment can stretch out the problem muscle and allow for proper ergonomics that may be leading to the formation of trigger points. 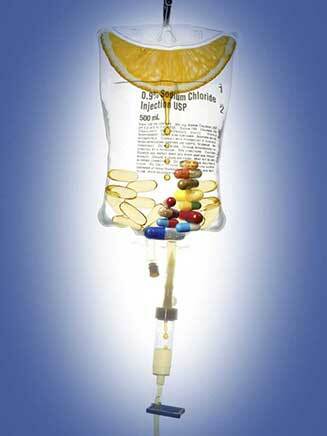 Medications are also a large part of early therapy, and prescription non-steroidal anti-inflammatories are usually enough to control the muscle pain. For persistent chronic myalgia pain, there may be too many trigger points to injection. In this case, a Myers cocktail infusion that provides a bolus of nutrients that may be lacking in the body is often used to combat chronic myofascial or myalgia pain.